NHL Rumour Report - NHL Trade Rumours and Speculation: Nichushkin to KHL, or to another NHL team? 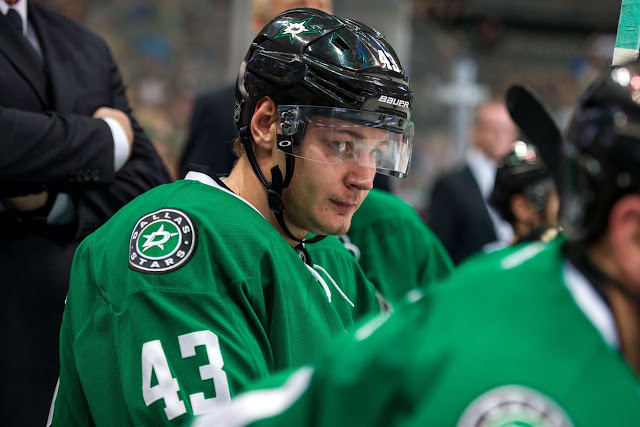 Certainly, after the signing of winger Jiri Hudler and declarations that Hudler was going to be a part of the Stars top six, many wondered if this was the beginning of the end for Nichushkin in Dallas. This could be a negotiation tactic similar to that employed by Jonathan Drouin in a bid to get better ice time with his team, or he might simply want to return back home. Or perhaps all Nichushkin wants is to be traded to another NHL team in a bid to get his young career back on track. Who would be a logical trade partner for the Stars? It's rumoured the Lightning explored the possibility at some point last season, while teams like the Islanders, Hurricanes and Devils could be teams out East which are on the hunt for more offense. Plenty of speculation will continue to surface in the coming days and weeks. The rumour mill seems to be cranking up once again!